More firemen have been called in this morning to help douse the fire onboard the car carrier Silver Sky . 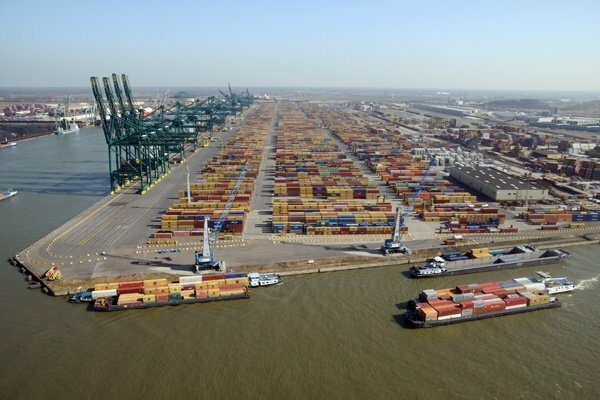 The fire started at around midnight yesterday when the ship was docked at Antwerp’s berth 340. It has since raged out of control. Tugs were deployed to douse the ship and try and reduce the temperature of the hull, but the ship remains too hot to board and extinguish the flames from the cargo deck. Firemen are now deploying vast amounts of CO2 to try and rein back the flames. The 27-year-old ship, owned by Dubai’s Sallaum Lines, was carrying used cars destined for Africa.